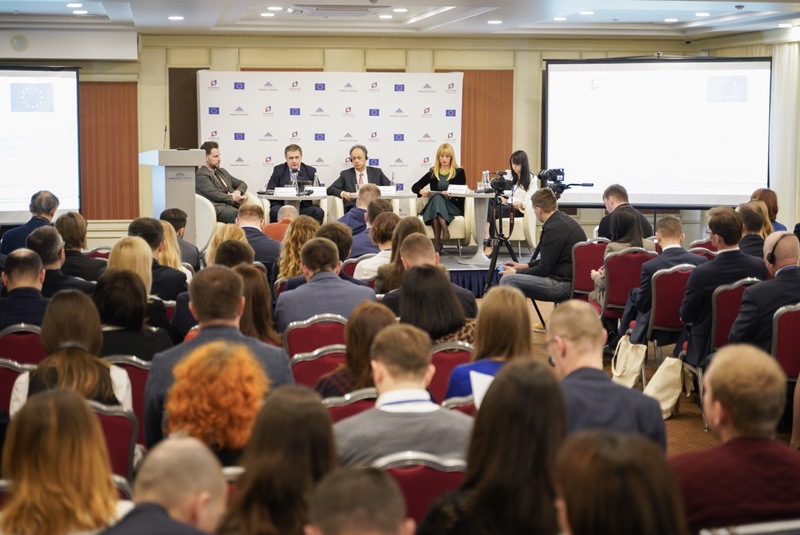 Their representatives came together for the first time at the Annual Congress of Regional Justice Reform Councils in Kyiv on March 26, 2019. "It is crucial for us to assist Ukraine in bringing your justice sector closer to European standards as well as reinstating public trust in the rule of law. People in Ukraine or in any of our Member States, want impartial, efficient, accountable and modern justice system. The effective involvement of the regions is key for the further progress of the reform," Ambassador Hugues Mingarelli, Head of the EU Delegation to Ukraine, commented. The process of formation of these councils lasted from July 2018 until February 2019. Each Regional Justice Reform Council consists of representatives of a broad range of legal professions, academia, students and CSOs, who are meeting on a regular basis in order to identify and discuss justice reform related topics of highest relevance for their region. Their goal is to enable a constant and structured dialogue between the central level and the regions to give politicians in Kyiv a more precise picture of the needs and expectations of the regions with regard to the justice reform. At the same time these councils will oversee the impact of the implementation of reform efforts in their regions. The Regional Justice Reform Councils are acting as standing working groups that facilitate exchanges among legal professionals and contribute to a better policy-making in the justice sector. The EU Project “Pravo-Justice” supports Regional Justice Reform Councils by providing strategic guidance, operational support, as well as international expertise and best comparative practices. During all RJRC activities, members from different regions have used the opportunity to visit activities, which have been implemented by their colleagues from other regions. The annual congress will be used to identify the expertise within the teams better and to group members according to their individual expertise and interest. The Annual Congress helped to start a constructive dialogue between the Regional Justice Reform Councils and decision-makers in Kyiv. The councils' Core Teams presented their first initiatives there, which included monitoring of the implementation of procedural codes, privatisation of enforcement service, implementation of the new bankruptcy law.